Jill Epstein became the Executive Director of the California Association of Marriage and Family Therapists (CAMFT) in May, 2011. CAMFT is an independent professional organization representing the interests of licensed marriage and family therapists. CAMFT has more than 30,000 members, 19 employees and a budget of nearly $5 million. 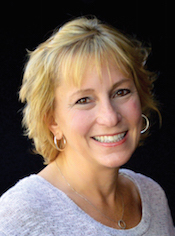 Prior to joining CAMFT, Ms. Epstein was the Chief Operating Officer of the California Massage Therapy Council (CAMTC), an organization created by the California Legislature to develop and implement statewide voluntary certification for massage therapists. While living in Chicago, Ms. Epstein spent 7 years as the Chief Executive Officer of the Chartered Financial Analysts (CFA) Society of Chicago, the country’s oldest financial analysts’ society and the world’s 6th largest financial analysts’ society. She also served as Chief Operating Officer of Physicians for Responsible Negotiation (PRN), a physicians-only labor organization created by the American Medical Association. During Ms. Epstein’s 11 years in Washington, DC, she worked for the American Medical Association, the National Committee to Preserve Social Security and Medicare, and AARP. Ms. Epstein received her bachelor’s degree in Political Science from the University of Michigan – Ann Arbor. She received her Juris Doctorate from the American University – Washington College of Law in Washington, DC. CAMFT is an independent professional organization representing the interests of licensed marriage and family therapists. CAMFT has more than 30,000 members, 19 employees and a budget of nearly $5 million. 11:15 -1:00pm - Board Meeting - Open to all members!